Donate to support veterans through the arts! Your Help is Needed to Provide the Arts for Veterans! Please assist David J. Drakulich Foundation reach its goal of $5000. Your support is needed to continue quality arts and humanities programming for our local veterans. Combat Paper Nevada makes paper from military uniforms and inspires such art projects as the Legend of 1000 Combat Paper Cranes. Nevada Citizens Helping Troops provides care packages to include art supplies to deployed Nevada troops. Time 4 Art extends the good work of Veterans Art Project by providing extra time and space for the veterans to engage in the arts and humanities outside of VA Sierra Nevada Health Care Services. 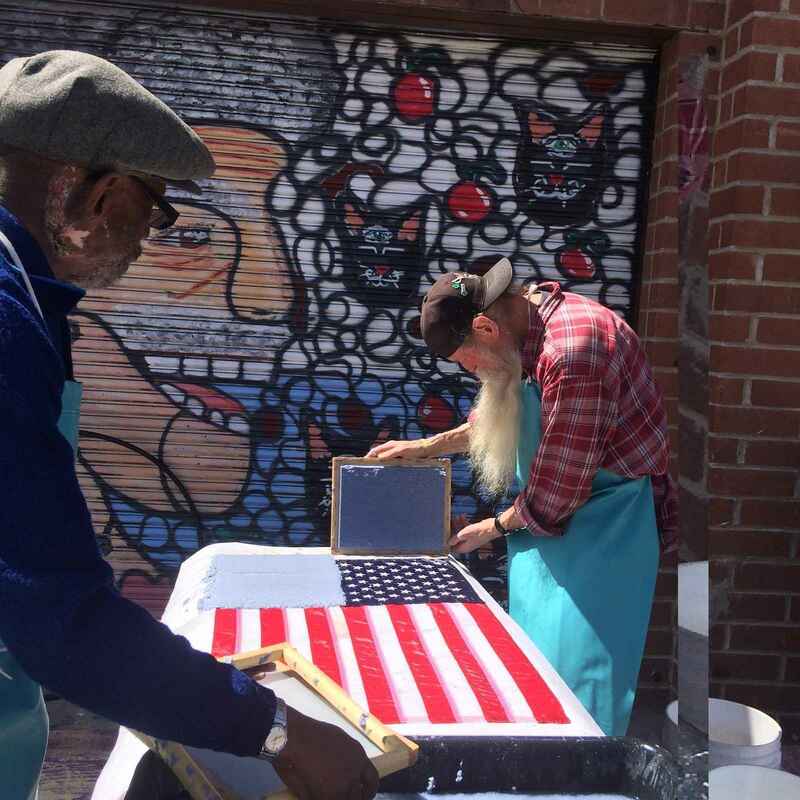 Veterans Art Project is an open studio experience provided in collaboration by David J. Drakulich Foundation and VA Sierra Nevada Health Care Services, and is free to veterans registered in the Veterans Administration. Northern Nevada Veterans Writing Project, which provides opportunities to compose, edit, refine and publish written works through support groups, peer coaching, mentor coaching, workshops, and publishing opportunities such as seen in Rucksack Revelations and Sea Bag Stories produced with Reno Little Theater, July 2018. David J. Drakulich Foundation thanks you for your support! This is such a wonderful service for our great Veterans. Where you feel my donation is most needed.